Rolling gate maintenance is very, very important. We understand that many people do not take rolling gate maintenance serious and we want to inform you that this is a very important part of your rolling gate. You want a gate that's gonna be running for a long time don't you? 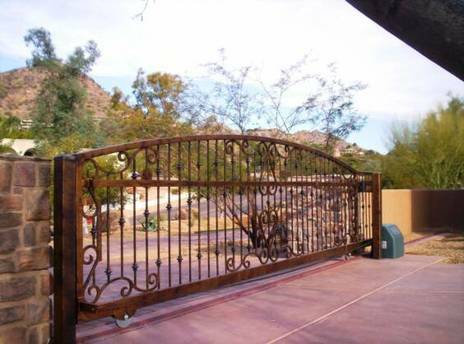 Who doesn't want a gate that's going to last a long time and be sturdy and reliable. You got your not have to worry about finding a rolling gate maintenance company because Awesome Quality Garage Doors and Gates, S– Corp. is your go to Corporation for rolling gate maintenance in Orange County, California. Orange County, California we understand that you have been in need of a rolling gates maintenance company and we know that we are that company. So people who don't live in orange county, but live around Orange County, California we service you would rolling a maintenance to because we understand that people want quality garage door and gate repairs and we do not want to use limit ourselves to Orange County, California. We understand that many people do not feel as if rolling gate maintenance is necessary and we want to correct this misconception. Rolling gate maintenance is absolutely necessary if you have a rolling gate because it would be tragic if you did not do this for these reasons. There may be a problem internally or externally with your rolling gate. Your rolling gate could collapse it is unchecked. There is a possible threat of a break in happening, due to improper rolling gate maintenance. The rust that will occur on a rolling gate that is not properly checked can be hazardous. Our number one concern is your safety. We do not want you getting injured trying to do your own rolling gate maintenance. We must rather advise you to just let us do the hard work of making sure that you're rolling gate is secure. So, this is why we do not advise you to do your rolling gates on your own too many risk. We now understand that you need a company that will service you in the way you want to be serviced and we know that we are the company in Orange County, California. Us do what we love and hope you keep your gate healthy, efficient and running properly. We now understand that you need a way of contacting us and this is very easy to do all you have to do is fill out that instant quote form that want to few seconds complete or call us at this number (---)--- ---- we will be contacting you shortly. ​Thank you for choosing Awesome Quality Garage Doors and Gates, as the score for all of your rolling gates maintenance needs in Orange County, CA. We look forward to doing your rolling gate maintenance. Not having your rolling gate maintenance is a very, very risky because now you have just made a great passing point and see your home for anybody who notices how and an maintenance gate looks.You do want your family to be safe right? You do want all your loved ones and those people were your concern went to be all right as well right? This is the case and get a company who is certified prestigious and us technicians that study abundantly on garage doors and gates to do your Rolling gate maintenance. We just want to make sure that you are safe and all your loved ones are safe that is our number one priority. We also want to make sure that you're going to service that you deserve because our company services all of our clients with servers that they've have never seen before because we understand that the customer satisfaction is what is most important. We know our services are for you because we value ourselves very highly and our customers even higher. 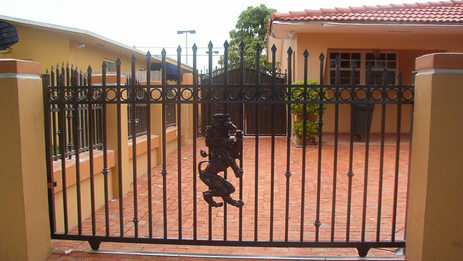 We understand how important it is to have a rolling gates maintenance done. This is why we stress the importance of having a company that actually wants you to get this rolling gate maintenance done because we know it will help you out in the long run.